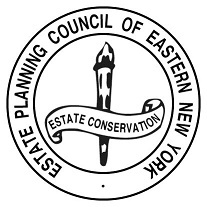 Welcome to the website of the Estate Planning Council of Eastern New York, Inc. (the “Council”). The Council promotes professional standards of excellence and integrity, offers educational and informational programs to its members, furthers the growth and scope of estate planning activities of its members, facilitates networking, and promotes the exchange of ideas and knowledge in the multi-faceted disciplines of its members. The Council members are CPAs, lawyers, members of banks’ trust departments, CLU’s, ChFC’s, CFP’s, certified fund raising executives, those accredited in business valuations and others involved with estates and trusts, who are deemed qualified for membership at the discretion of the Board of Directors. The Council provides four educational meetings a year. The meetings are normally held at Wolfert’s Roost Country Club in Menands, New York. 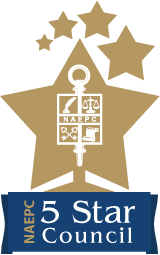 The Council is a member of the National Association of Estate Planners. This enables our members to receive benefits including discounts and free access to the Leimberg Information Service. Our upcoming meetings, including the name of the speaker, the topic, the continuing education credit available and the logistics for the meeting will be listed on this website. We welcome new members and guests. If you have any questions, feel free to contact me, the other members of the board, or Executive Director Stephanie Cogan at epceny@gmail.com. See our Financial Aid Policy.